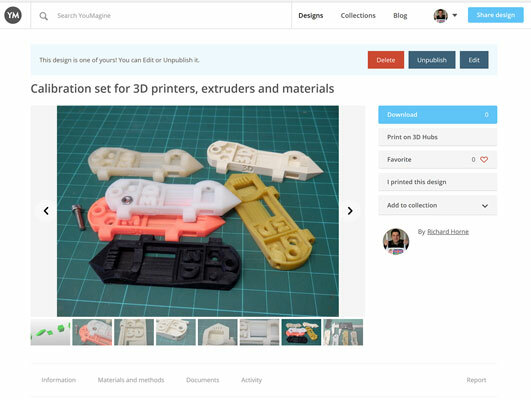 3D printing is more accessible to more people, but being accessible isn’t the same as being usable or user-friendly. As the fundamental technology matures and also reaches speed and material limitations, more innovative processes will be developed to be safer, quicker, and easier for the average user to manage. Now, the reality check: These changes aren’t going to happen all that soon. Manufacturing free-form objects on demand isn’t easy, and atomic replication of objects isn’t even on the horizon. Even metal 3D printers are still used only in industry due to complex safety systems and requirements. 3D-object repository sites such as YouMagine (see the following figure) provide access to thousands of ready-to-print objects, but you have a limited number of ways to change or repurpose the objects on these sites without delving into 3D design. Some 3D models or programs have some customizable features, enabling you to add a name or tweak the size and shape of the object. More often, though, to make significant changes, you need to edit the 3D model directly, which can be an obstacle to adoption of 3D printing for some people who don’t have experience in 3D design. The 3D-model sharing website YouMagine. To combat this problem, companies and manufacturers are adding a more user-friendly experience in the form of ready-made material profiles, automatic setting generators (see the following figure), and intelligent 3D-model analysis systems that suggest better ways to print your object. These changes are taking away much of the guesswork and experimentation required to achieve a successful 3D print. You can’t yet click Print and be sure that an object comes out as you expect every time, but that day is getting closer all the time. 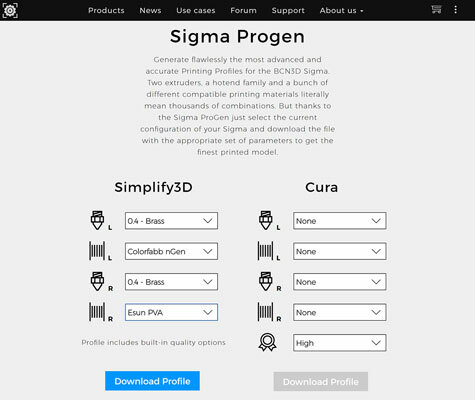 The automatic profile generator for the Sigma 3D printer. Before 3D printing is widely adopted at the consumer level, designing 3D objects will have to be easier. Companies such as Autodesk and Adobe have spent decades refining and simplifying the 3D design process for both professionals and novice users, and the process is improving all the time. Innovative tablet-based apps, for example, allow organic design and manipulation of 3D designs by touch and gesture.